Pam is an avid sewer of all things who has been a loyal Luke’s customer for over 10 years. 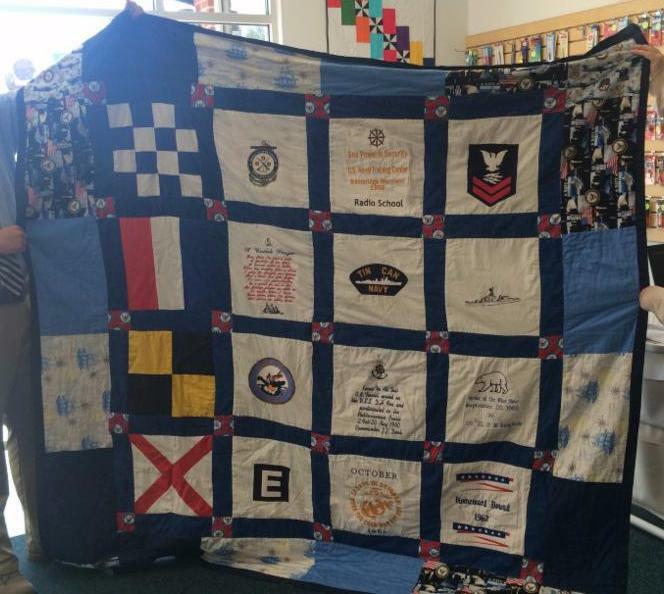 She learned hand sewing and embroidery as a toddler, working alongside her mother. “I come from a family of sewers” she explains. 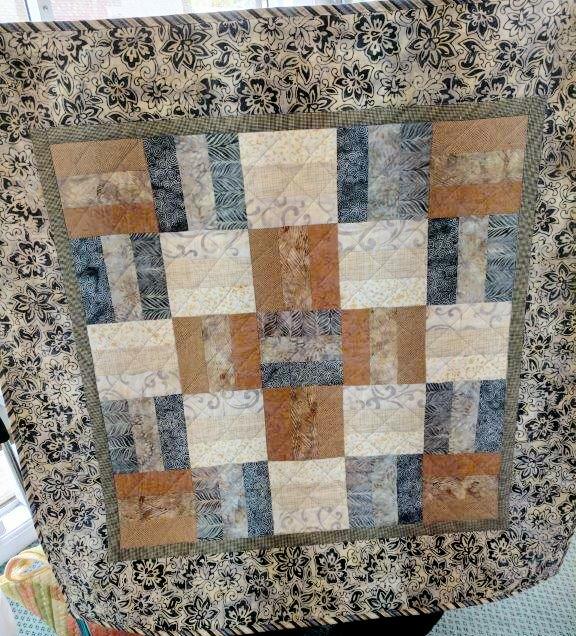 She even has hand pieced quilt tops created by her grandmother. 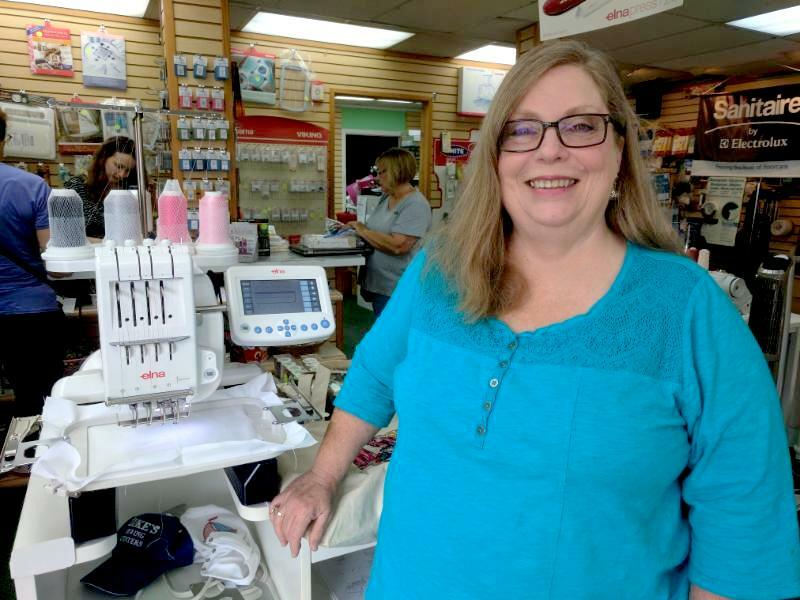 As her machine dealer – Luke’s Sewing is delighted to help her carry on the tradition. She also makes a point of attending as many group classes and events as possible. 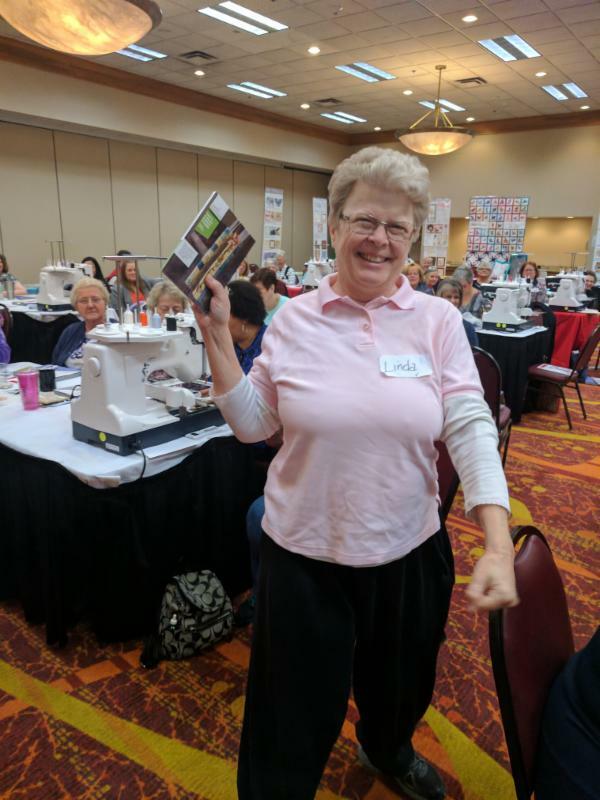 Her favorites include Debbie’s Block of the Month classes and Veronica’s serger classes. When she’s not attending classes, Pam still sews alongside her mother, but her cat Patches is her main assistant. 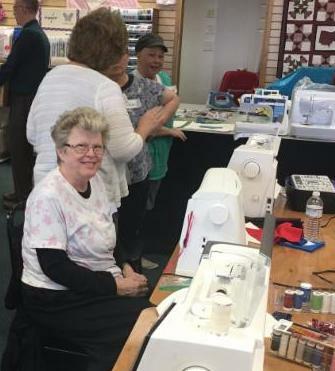 “She’ll sit with me and watch while I’m sewing, and likes to sit on my fabric or embroidery arm.” Like most seasoned sewers and quilters – Pam has a ‘stash’ she’s built up over years – it takes up two large closets! She dreams of a climate controlled shed-turned-studio in the back yard – where she’ll have as much room as she needs for her machines, fabric, and cat! 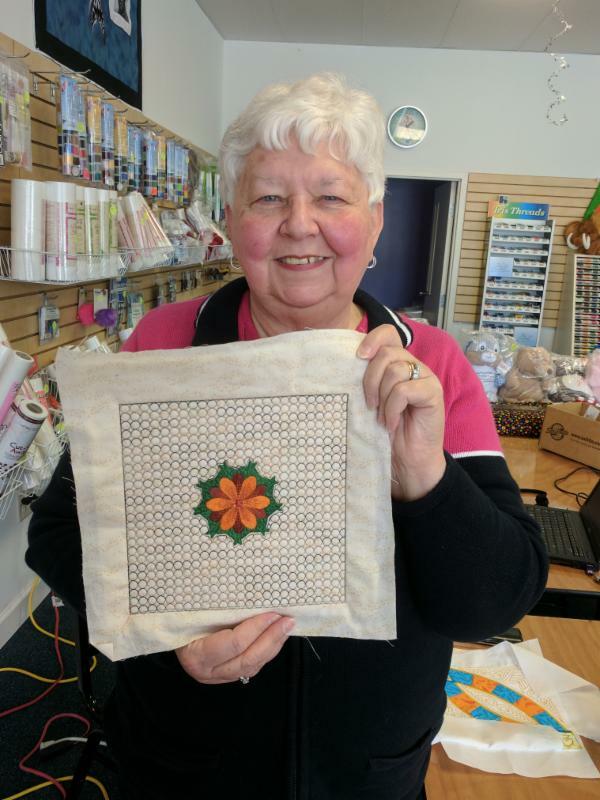 Pam is also really excited about creating her own designs and patterns with the Premiere Ultra software. 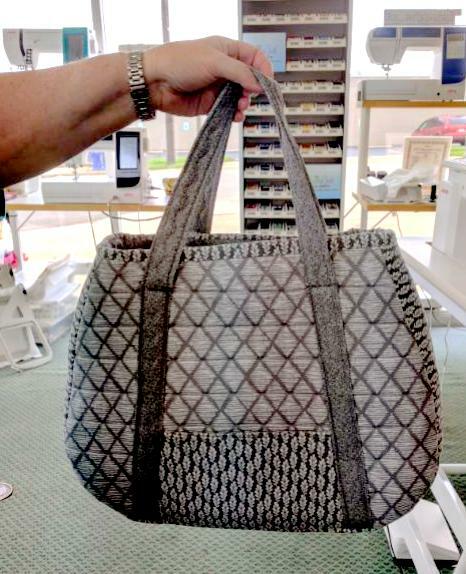 “There’s so many possibilities,” she remarks, mentioning the digitizing lessons she’s been taking, “I’m not limited by the designs I can find – I can create my own and not just be limited by what I find. 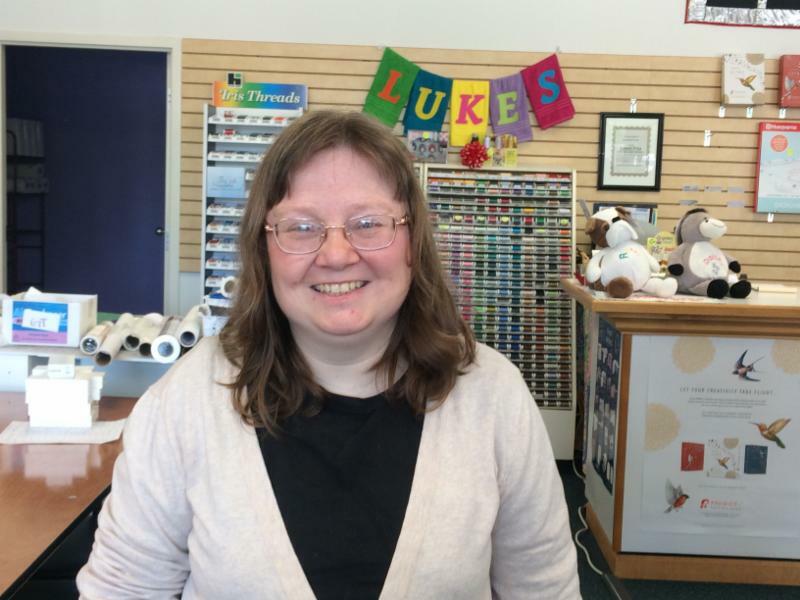 The one-on-one lessons have really helped with that.” As a Luke’s VIP Customer, Pam can take lessons at any of Luke’s 5 locations, receive plenty of personal attention, and get all her questions answered – so she can keep on creating wonderful things for her family. 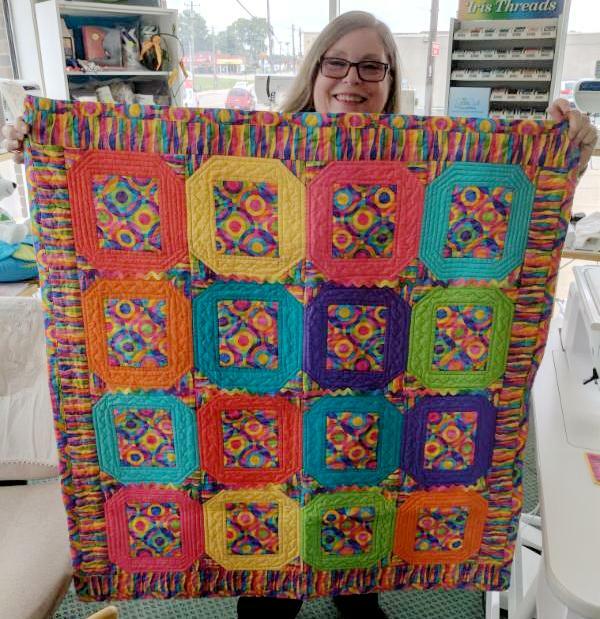 Most of her projects are gifts for her family and friends – her parents are running out of space to put everything she’s created for them! 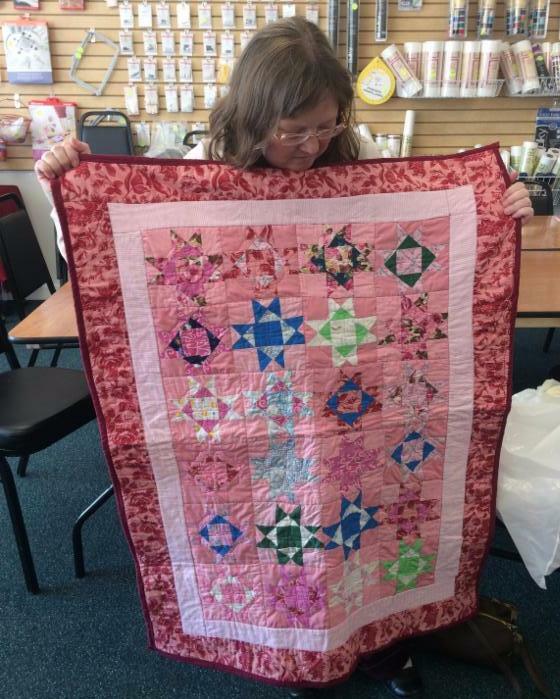 Linda V started sewing as a young girl in girl scouts. “I took to it like a fish to water – which surprised my troop leaders because I was such a tomboy – but I loved it and wanted to learn everything I could about it.” She reminisced. Later, in high school, she got a part time job with the express purpose of buying her own sewing machine – a Sing Fashion Mate. “I also bought all the accessories and attachments possible – I wanted to be able to do everything,” she revealed – noting that she does the same thing today. May VIP of the Month: Shirley S! 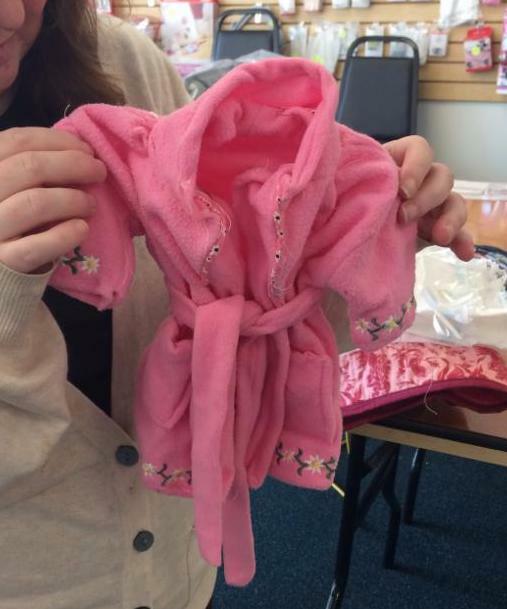 Look at these lovely gifts Shirley’s made for her family! Shirley started coming to Luke’s Elsmere location “ages ago” when her Kenmore needed regular servicing. 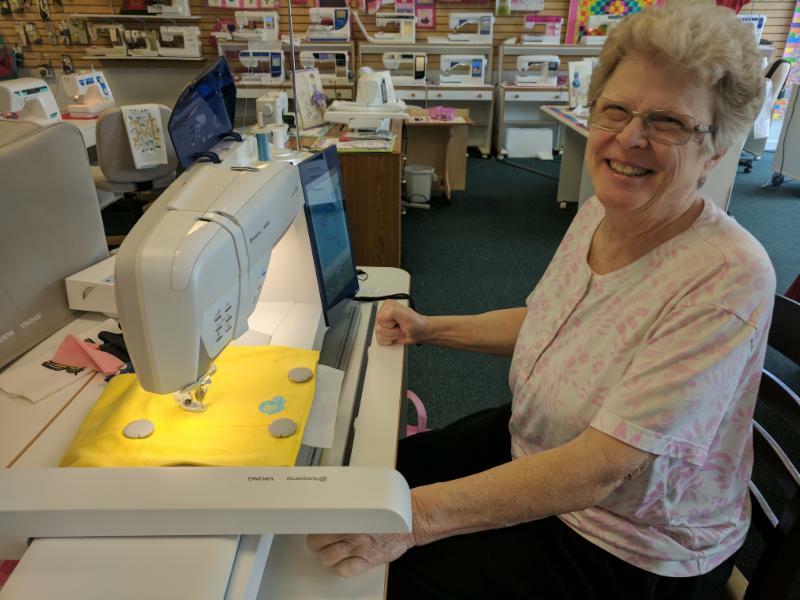 She bought her SE from Margaret shortly after her first grandbaby was born – and has been an embroidery and quilting addict ever since. “I liked the idea of putting pictures on things. It started out so simple, and over the years grew to where nearly everything I do is in the hoop,” she reminisced, “In the hoop projects are so easy! 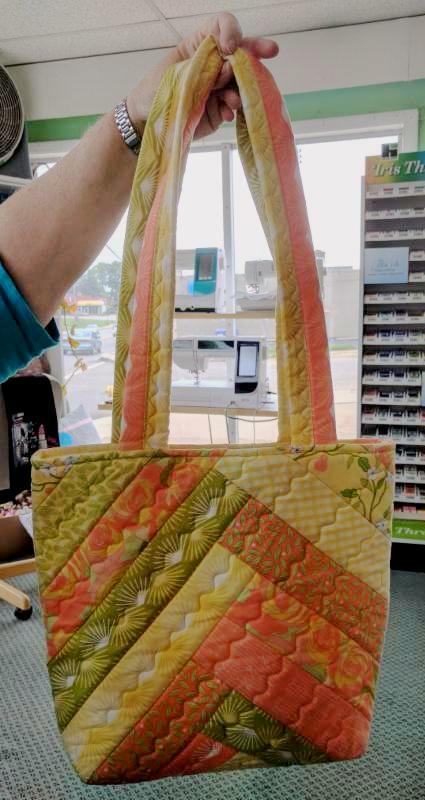 They even put the zipper in for you sometimes, it’s amazing.” 6 more grandchildren later, she most of her projects are gifts for her family. 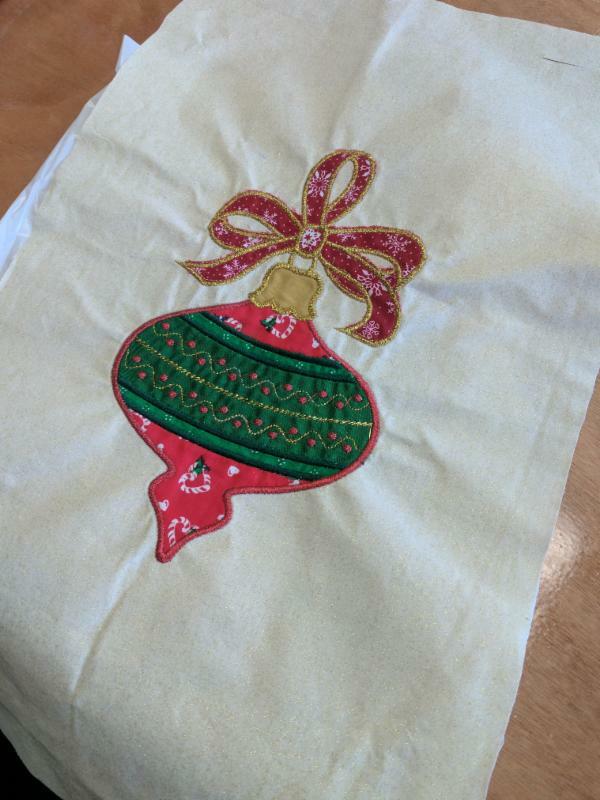 In fact – Shirley is already working on Christmas presents for everyone – In May! “Well, I just have so many to make, how else am I supposed to get them all done?” She remarked. Keep at it Shirley! We love that you plan ahead so well. /wp-content/uploads/2017/04/lukelogos-1.png 0 0 Nick /wp-content/uploads/2017/04/lukelogos-1.png Nick2017-05-25 21:39:262017-06-01 17:38:51May VIP of the Month: Shirley S!